3 Days. Ausangate trek 3 days & Red Valley - The 7-color Mountain / Matours. 3 days of hiking through the Ausangate Mountain plus the Red valley are for those who are experts in trekking and for those who are in excellent physical condition. Because you will walk more than necessary each day, the highest points exceed 5,000 meters, the climate varies from 0° C / 32° F to 15° C / 46° F and will cross 3 higher points, walking through diverse and beautiful landscapes that will change daily; from the snow-capped mountains, colorful hills, Hot Springs and wetlands full of wildlife. Also among hundreds of South American Camelids (vicuñas, llamas, and alpacas). 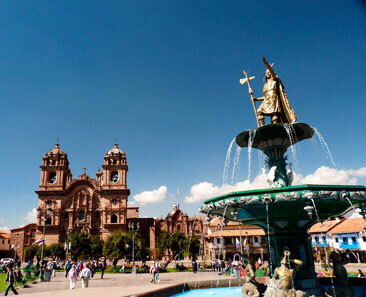 The tour begins and ends in the city of Cusco. Departure from Cusco at 7 am and return at 6 pm. Enjoy a unique and unforgettable travel experience with the experienced team of excursions of Matours. Our guides, cooks and local muleteers are excellently prepared to exceed all your expectations. Ausangate trek 3 days, Red Valley, The 7-color Mountain and Upis’ Hot Springs. This tour starts on the date you decide. Day 2: Upis – Puca Cocha – Chillca Pass – Ananta. Day 3: Ananta – Rainbow Mountain – Red valley – Chillwani – Cusco. Day 1: Cusco – Tinki – Upis. To start the Ausangate trek 3 days, leave the city of Cusco at 7:00 a.m., then travel by private bus to the south of the city of Cusco. On this 3 and a half hour trip, you will pass through the beautiful small towns, Urcos, Ocongate, Tinki and finally reach the community of Upis, located on the slopes of the Ausangate mountain. After your first lunch, you will have free time to take a walk around the Ausangate lagoon. If you are well prepared physically, you can climb the glacier until you reach perpetual snow (5,300 meters / 17,388 feet). To reach perpetual snow, you do not need climbing equipment; you can only arrive with trekking shoes because the snow is in a very accessible place. Just in case, the tour guide will take a crampon and a rope. Today will be the challenge day of the 3-day Ausangate walk because you will walk more than 20 kilometers and also pass 2 higher points. Arapa pass 4,980 meters / 16,335 feet and Chillca pass 4,995 meters / 16,384 feet. To start today’s activity. You’ll wake up at 5:00 a.m. with coca tea in your store and at 5:30 a.m., have an energetic breakfast. Then, start walking uphill to Puka Qocha (red lagoon), where you will enjoy your healthy lunch with beautiful views: stone forests, small freshwater streams, picturesque lagoons, and steep snow-capped mountains. After your delicious lunch, continue your journey to the Ananta camp, where you will spend your second night of the Ausangate trek 3-day trek plus red valley. In the same way, this part of your adventure will be unique, since you will pass to the second highest point, the Chillca Pass. From where you will have the splendid beauty of nature. You will also see hundreds of South American Camelids (Vicuñas, Alpacas, and Llamas) and, finally, you will arrive at the Ananta camp. Highest elevation: 4,995 meters / 16,384 feet. Today is the last day of your adventure Ausangate hike 3 days. However, it is a long-awaited day, because you will visit one of the places that have become so famous and touristic in the last 3-year, “the 7-color Mountain and red valley”. To be the first to arrive at this colorful place, have breakfast at 5:30 am, then cross the Warmisaya Pass (4985 meters / 00 feet). From here, on the horizon, you can see the Rainbow Mountain or the Mountain of 7 colors. You try to reach the rainbow mountain before 9:00 a.m. and also before the crowd arrive by bus from Cusco. When you get to the viewpoint, take excellent pictures without tourists. After 9:00 a.m., this place is full, more than a thousand tourists visit every day, by then, you will already be going towards the red valley, which is another fantastic place. 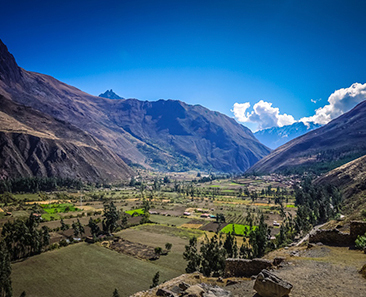 After appreciating the natural beauty, you will begin to descend to the Chilliwani community, where your private minivan will be waiting for you to take you to the city of Cusco. Before starting 3 and a half hours trip to Cusco, say goodbye to the adventure team (muleteers and cook). Arrival in the city of Cusco – Hotel at approximately 5:00 p.m. Highest Elevation: 5,030 meters / 00 feet. Horses to transport the camping equipment. Food: 2 breakfasts, 3 lunches, 2 dinners, snacks (optional vegetarian without additional cost). Dining tent and kitchen tent. 1 store with 4 stations for 2 people plus mats. Entrance to the Ausangate Natural Park, the 7-color Mountain and red valley. What are not included in this package? To do Ausangate Hike 3 days, you have to be in Cusco minimum 2 days in advance to acclimatize. 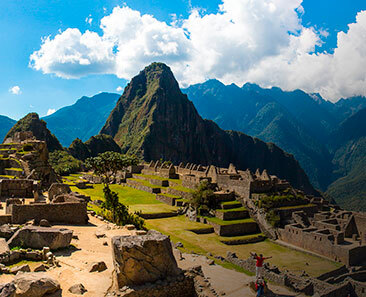 For the best acclimatization, drink the infusion of coca leaves, you should take short walks through the city of Cusco on your own, or you can also hire a short tour like the City Tour, the Sacred Valley, salt mines of Maras – Moray or Machu Picchu full day (booking separately). The travel agency Matours will provide you with a duffle backpack where you can take all your things that are mentioned below. Our service is totally personalized, the whole tour will be exclusive for your group, so you can fully enjoy your adventure. The group can be integrated by your family, friends, co-workers or special trips such as weddings, anniversaries, etc. A pen sleeping bag minus 25 degrees below zero, US$ 10 during the entire trip. Supplement for an individual tent, US$ 15 for the entire tour. 2 Walking sticks US$ 5. Length: 00 km / 00 miles. Altitude: 5030 meters / 16502 feet.